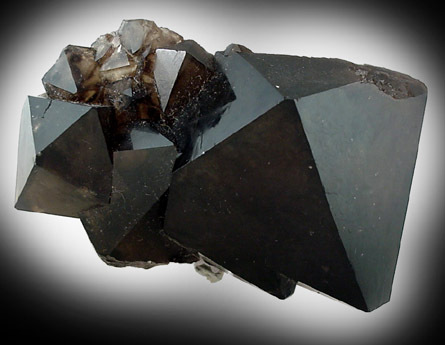 Beautiful specimen of lustrous, black quartz with no matrix. The crystals are di-pyramidal with no prism faces. Very clean, no damage. Overall size of mineral specimen: 9x5x4 cm. Size of individual crystals: 1-6 cm.